Located within all Munson Healthcare hospitals as well as in convenient community locations around northern Michigan, our pharmacies and staff play an integral role in patient care. Munson Healthcare offers a broad spectrum of rewarding careers in both clinical and retail pharmacy, with the mission of improving the health of our patients and communities by ensuring safe, effective, and appropriate use of medications. 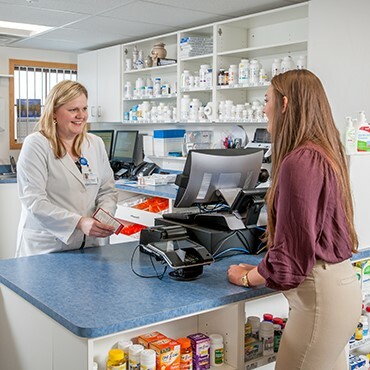 Because of our unique approach to patient-centered care that includes both hospital and retail pharmacy services, at Munson Healthcare you can choose to work within a hospital setting or in a retail, community-focused setting. Excellent benefit packages are available in both clinical pharmacy and retail pharmacy settings. Work inside one of our nine hospitals, partnering with pharmacists and pharmacy technicians to promote safe and effective use of medications and help patients achieve targeted outcomes from medication therapy. An outpatient pharmacy setting allows you to form more meaningful relationships with customers – and not just because you’re dispensing their prescriptions or immunizations. Other opportunities include anticoagulation management, medication therapy management, and sterile and non-sterile compounding. You also have the added benefit of having the resources of a large health care system at your disposal, including drug information references and specialists.